Headed to Copenhagen for the First Time? 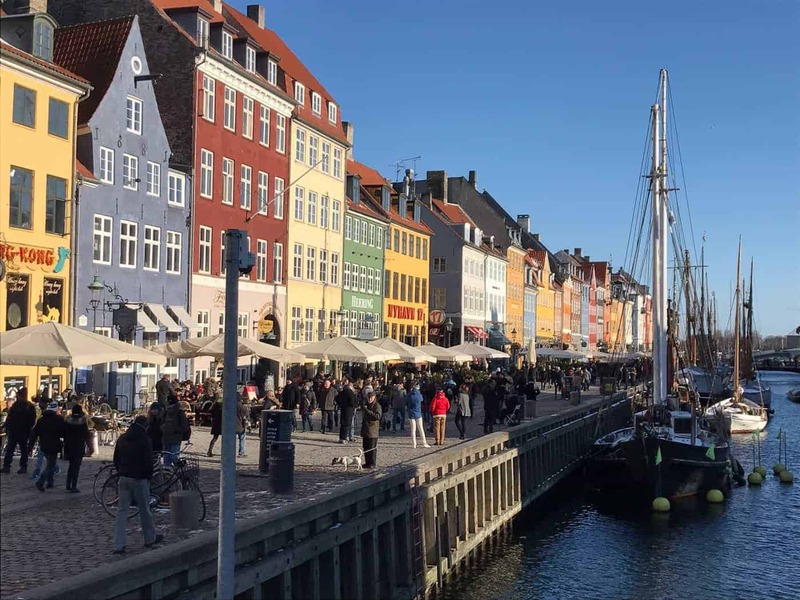 Today’s post is a guest post from the lovely Wendy from World Wide Wendy, who has offered to share a day-by-day Copenhagen itinerary. Check out Wendy’s blog here, and follow her adventures on Instagram, Facebook and Twitter! And before you go to Copenhagen, make sure to get yourself one of these! 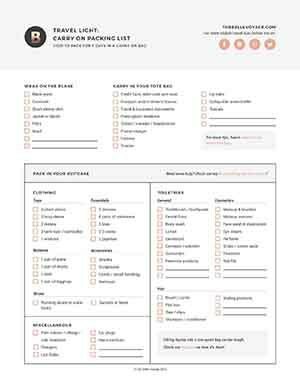 You’ll need at least one on your trip! 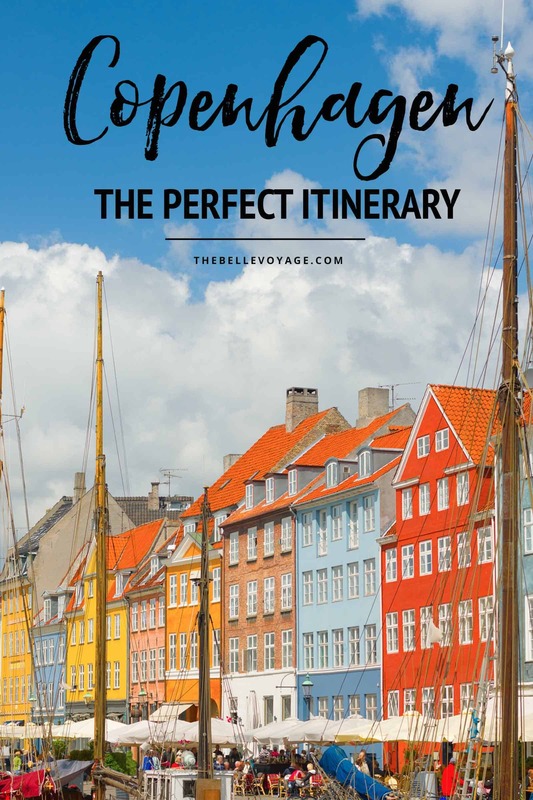 Now….over to Wendy, who is sharing a perfect Copenhagen itinerary! Copenhagen had been on my bucketlist for ages, so I was happy it was finally happening. On Friday morning we took the 7 o’clock flight from Eindhoven with Transavia. The flight to Copenhagen takes just one hour so we have an entire day to spend there. Perfect! We changed some money in Belgium and picked up some cash at the airport’s ATM. The airport rate is definitely not recommended, because later on we got much better rates in town. You can pay your taxi by creditcard or with Danish crowns. We stayed at Hotel SP34. I had asked for a early check in and luckily our room was ready, so we could install our stuff and refresh before heading out. The location is perfect. You have all the highlights within walking distance and many nice restaurants and bars nearby. Also, the very best boutiques are nearby! The rooms in the hotel are rather small but on the other hand they serve a delicious breakfast with all fresh products. Healthy and very tasty! On top: happy hour at 17 o’clock, with a free glass of wine. 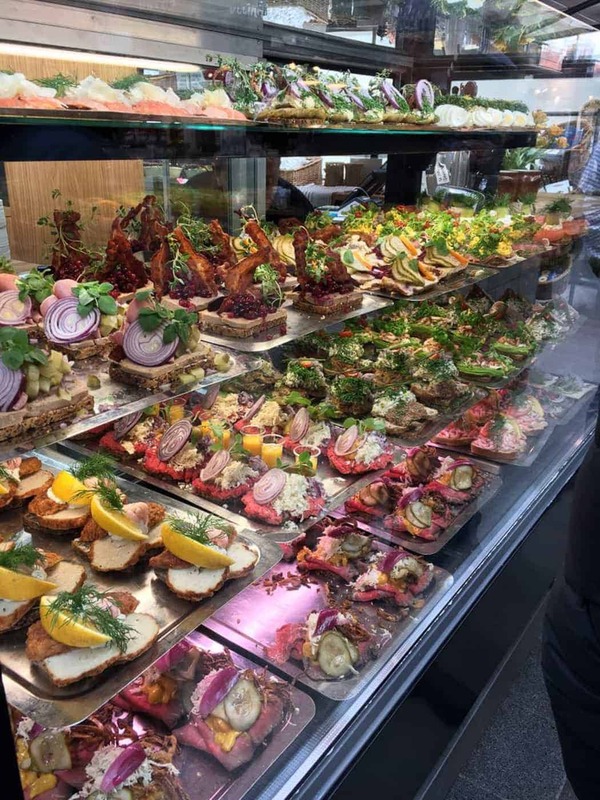 After a short break in the hotel, we went to the nearby shopping streets and walked slowly back towards the Torvehallen, which is a paradise for foodies!! Gigantic halls full of stalls with tapas, open Italian sandwiches, coffee bars, pastries … Everything you can imagine is served here. Awesome!! If you are fond of Scandinavian design, you have to go to Illum department store. There you’ll find beautiful collections, designs and furniture, and an original clothing collection! Hay is also a nice shop with typical Danish design. NORR shop has an awesome collection of clothes and haircuts. 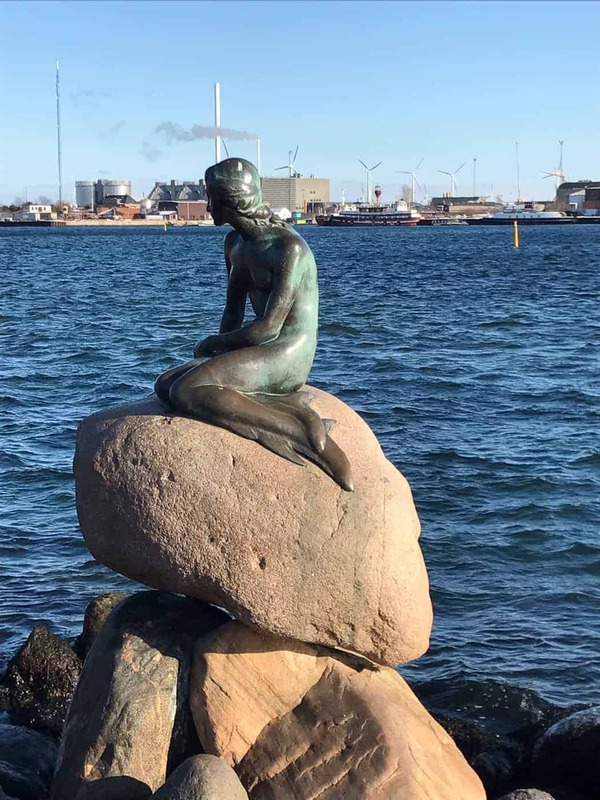 Statue of the little mermaid: This bronze and granite statue at Langelinje Pier is the most famous attraction of Copenhagen. It was a gift from a Danish brewer in 1913. It was inspired by Hans Christian Andersen’s fairy tale about a mermaid who gives up everything to be reunited with a prince on land. Tivoli Gardens: A nice amusement park close to the city hall. Kronborg Castle: A very famous Danish castle, known worldwide from Shakespeare’s Hamlet. You can take a tour of the castle to enjoy the amazing interior. Christiansborg Palace: Located on the island of Slotsholmen. 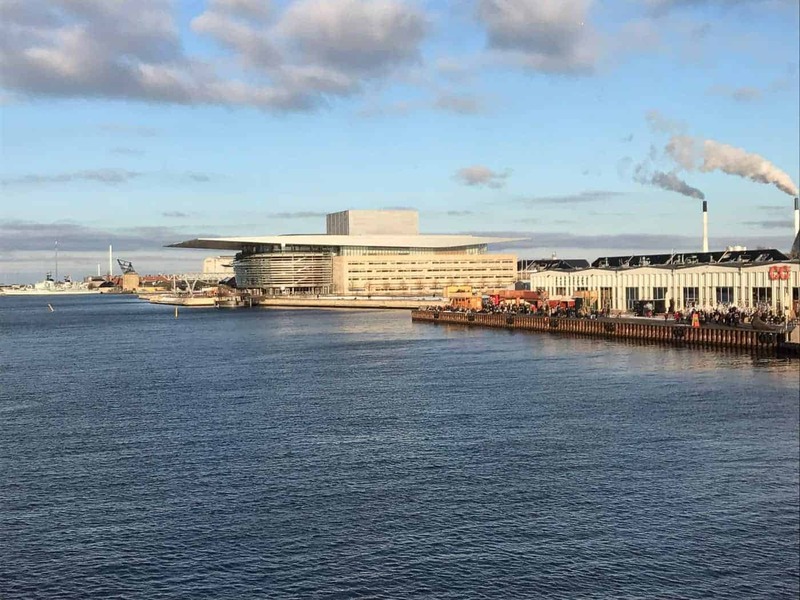 Here you will find the Danish Parliament, the Supreme Court and the Ministry of State. Parts of the palace can be visitied. Nyvan: The harbour that you see on so many pictures of Copenhagen. It’s the perfect place for a stroll in the evening. There are many restaurants and bars. In former days, it was a commercial port but now it’s an historic place with many old houses. Nr 9 is the oldest house (1681) and Hans Christian Andersen, the famous fairytale writer, lived in nr 20, nr 67 and nr 18. 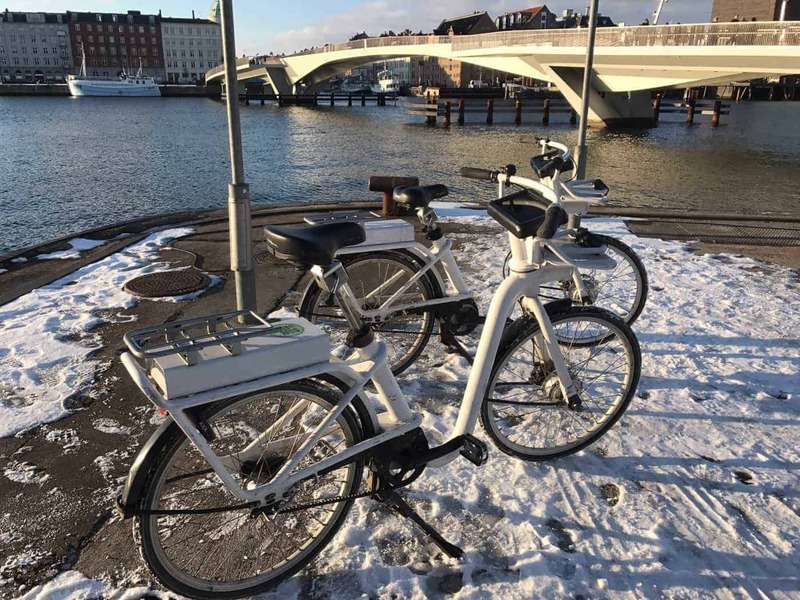 The best way to discover Copenhagen is by a city bike. They are electric, so you don’t get too tired and are equiped with an iPad! All the routes are in it or you can make a tour yourself. You need to register, receive a confirmation e-mail and pay with your credit card. We took the cultural tour and visited the beautiful colored harbor and, of course, the little sea mermaid. After some detours, we crossed the bridge for lunch at Copenhagen Streetfood. There you find all kinds of casual stalls with street food: sandwich pulled pork, fancy hot dogs and a burger to die for! The hotel has two restaurants. One is a very good hamburger restaurant, casual and tasty. Restaurant Mirabelle, in the district of Norrebro next to their Beast restaurant, is really worth a visit. They serve delicious coffee with pastries for dessert! Gorilla restaurant in the meatpacking district is fantastic. You can choose the tasting menu with 10 to 15 courses. The meatpacking district is a fairly new neighbouthood with many restaurants and bars. Bar Warpigs next door is a great beer bar! Nice atmosphere, nice people, beer and wine. When you cross the bridge near the Little Mermaid you will find Copenhagen Streetfood with all kinds of stall. Sandwiches with pulled pork, fancy hot dogs and many more. Great city, friendly people, great food, beautiful fashion and design! There you have it, the perfect Copenhagen Itinerary! Need more guides for European cities? Check out my perfect Barcelona itinerary, a fabulous London itinerary, and a day-by-day guide to the most charming city in Italy, Lucca. Also, don’t miss my best packing tips for Europe! I promise they’ll come in handy as you get ready for your trip!